Have you heard of Chao Cheese? I first tasted this revolutionary product at Expo West, at the recommendation of my good friend, Tess, The Blender Girl. Chao Cheese Slices were indeed a pleasant surprise, mimicking the unique bite of dairy cheese slices with impressive ease. To note, I found the texture to be remarkably similar to Follow Your Heart’s new cheese slices, and for good reason, the two have nearly identical ingredients. There seems to be just one special ingredient that sets Field Roast’s Chao Cheese Slices apart: just a touch of fermented chao tofu. Surprisingly, the fermented tofu does add that “umami” flavor. However, for those of you who are allergic to soy, it is problematic. If you are someone who avoids soy for health reasons, please note that not only is it a very small amount used (according to the company, it is for flavor purposes only). It is also fermented – a type of soy that even the Primal Diet gives the go ahead, too. Without going into the details, fermented soy is viewed as beneficial by most health professionals, and has not been an issue in those negative soy studies. All three flavors have the same pleasing consistency, underlying “umami” factor, and just slight variations in their warm cheesy taste. 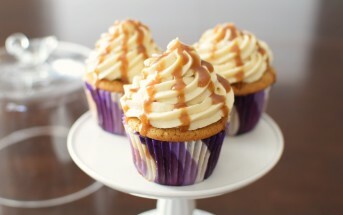 They were all enjoyed, but the Creamy Original (pictured below) was actually my favorite. It had a provolone meets white cheddar flavor that is rich and just bold enough. 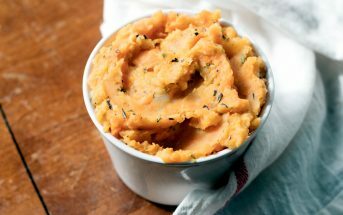 Tess loved the subtle earthy flair of the Coconut Herb (pictured above), spiked with oregano and black pepper. And I think Tony was partial to the spicy heat of the Tomato Cayenne – perfect for quesadillas or kicking up that dairy-free grilled cheese! As you can see in the pictures, Chao Cheese Slices do indeed melt easily when broiled or sandwiched and heated. That said, I thought they were quite tasty cold, for noshing as a snack or adding another sandwich layer. 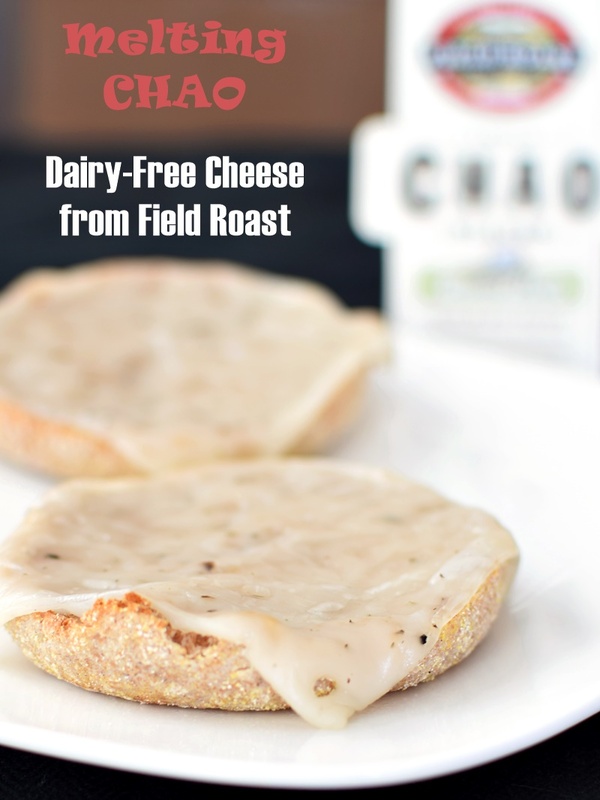 Certifications: Field Roast Chao Cheese Slices are Certified Vegan. 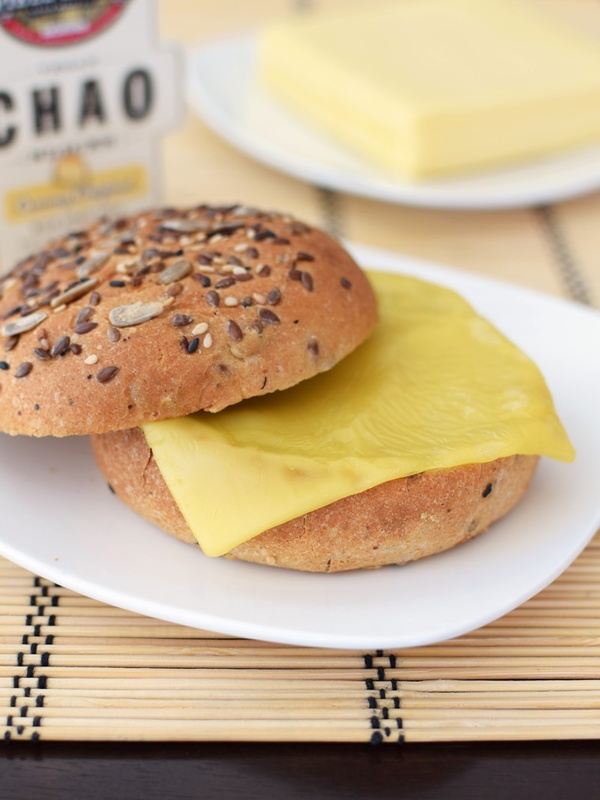 Dietary Notes: By ingredients, Chao Cheese Slices are dairy-free / non-dairy, egg-free, gluten-free, nut-free, peanut-free, vegan / plant-based, and vegetarian. Nonetheless, check with the company on their manufacturing processes for all varieties if potential allergen cross-contamination is an issue for you. Processes and labeling are subject to change at any time for any company / product. I loved Chao creamy original slices. I turned out taking two slices and making 4-5 servings or macaroni and cheese and stored the left overs in the fridge. It’s literally MY FAVORITE CHEESE! and I’m finding it is making the dairy free transition a lot easier (allergy to dairy) and I found mine at Walmart! It’s only downside 11 slices per pack for $5.50. But there are BIG slices. Donning a captivating “product of Greece” label, we expected great things from this cheese alternative, and were not disappointed. With a delightful bite that we found pleasing both cold and melted, each flavor had tasty “umami” underpinnings from a not-so-secret ingredient. I Love Chao Cheese. Thank You so much!!!!!!!!!!!! 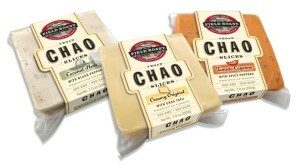 I feel alot of Vegan cheeses just don’t taste all that great…BUT FIELD ROAST CHAO cheese slices are the bomb! Not only do the slices taste like REAL CHEESE….when you MELT it onto something…this other WONDERFUL cheesy nutty flavor comes out..its like WOW..a whole different cheese taste and its sooo yummy! I only like the CREAMY ORIGINAL, but I HIGHLY recommend it! And if you check,,there isn’t a whole lot of fat/calories..etc..like real cheese..I don’t mind paying a little extra more for this product! I love love love the tomato cayenne slices. Me too – they are so hard to find! Please send to Guam! SOS we need Chao Cheese !!! Is it soy free as well? Sadly, so many vegan foods contain soy. My husband is allergic to soy, my son and daughter to dairy (NOT lactose intolerant!). My daughter is also allergic to eggs. I went out and bought a chao cheese original after reading this review in my inbox and I have to say that it was delicious both hot and cold…. Hi A.C., So glad you enjoyed it! I’m actually going to be trialing those cheesecakes myself soon and will review here. I’ve seen them at Whole Foods and Natural Grocers, but have not seen them in conventional grocers. If you have a natural food store in your area, I would check with them to see if they can order in. Hi Alisa! I just tried the coconut herb. I heated it in my spaghetti and it gave it this yummy, creamy texture. It was also delicious on the rosemary turkey sandwich. Thank you so much! Yum! Thanks for sharing this Sylvia! I’ve yet to find a dairy-free cheese that I’ve really liked, but the pictures of this one look promising!! Will research and see if I can find some before my son comes home from college! 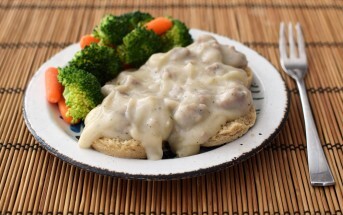 You will LOVE Field Roast Creamy Orginal. It’s mind blowing good!!! It tastes like cheese with an amazing texture without being too bold!! Agreed! Thanks for sharing your feedback Pamela – so helpful! This one is seriously amazing! The original is so good, it tastes like real cheese. Before I tried it I never ate vegan cheese because it never tasted good. I am honestly obsessed with this cheese now and pretty much eat it with everything! So awesome that it fit the bill for you Chloe! I really like it too. K and I just tried this cheese recently. It is amazing! I can’t wait till it’s available closer to where we live. Awesome, so glad you guys liked it, too!